Monterey County has an extraordinary moment for everyone. 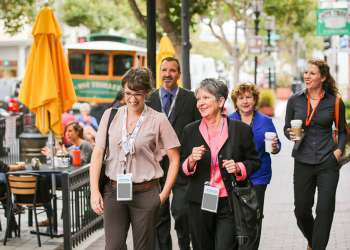 For meeting planners, Monterey provides a relaxing, un-harried, upscale resort-like ambiance in which your group can feel special without the expensive pricetag. While the area is known for golf and wine, it offers access to a diverse and appealing set of other activities. It is the quintessential Central Coast of California experience - multidimensional and not solely focused on one destination asset. The Lone Cypress is trademarked. In 1948, a young woman by the name of Norma Jean was crowned Castroville&apos;s first "Artichoke Queen" and later became famed actress Marilyn Monroe. Known as the birthplace of California, Monterey was the first capital under Spanish rule and the location where the Republic of California&apos;s constitution was drafted. Learn more quirky and fun facts here.